Age 86 of Wesley Township, Wilmington, passed away peacefully on Friday evening January 4, 2019, at her winter home in Scottsdale, Arizona with family at her side. Born January 29, 1932 in Heyworth, Illinois, Barbara was the daughter of Samuel L. and Eva Kathryn (LaFollette) Bray. She was raised in Wilmington; graduated from Wilmington High School with the Class of 1950, and went on to earn her nursing degree from Silver Cross School of Nursing in 1953. In the same year, on October 17, 1953, Barbara married Henry A. Merkel in the Methodist Church in Wilmington, and together they made their home and raised their family in Wesley Township. Henry preceded Barbara in death on July 29, 1991. 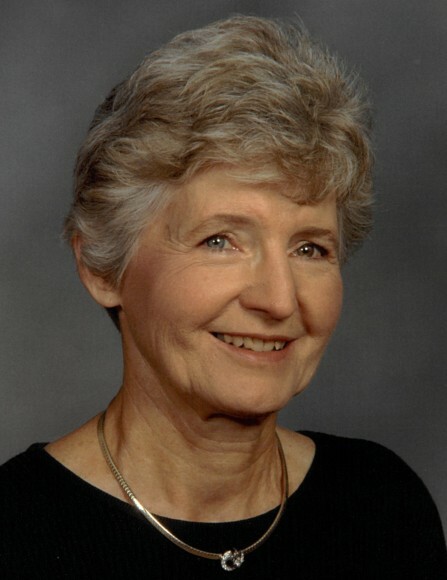 Barbara’s career in nursing began at the Soldiers Widows Home in Wilmington, and she later worked at Silver Cross Hospital, as well as served as a private duty nurse. It was in 1975 that she gained employment with Riverside Medical Center in Kankakee, from where she retired in 2003. Barbara was a member of the First United Methodist Church in Wilmington; belonged to the P.E.O. Sisterhood; was a past 4-H'er, and served as a leader of the Wesley 4-H Hustlers for many years, and served on the Kankakee Valley Symphony Women’s Board. On May 31, 2003, Barbara married William McMurtry in the First United Methodist Church in Wilmington, and for the past 15 years she was blessed with a companion to share family, friends and interests. Bird watching, traveling and flower gardening were favorite pass times, however nothing was valued greater than the time she spent with family and friends. Survivors include her husband William McMurtry; children: Henry Anthony, III “Tony” (Carol) Merkel and Kathryn (Jeff) Henderson, both of Wilmington; grandchildren: Jennifer Donovan-Kapchinske (Adam) of Heyworth, Illinois and H. Anthony Merkel, IV (Natalie), Elizabeth Henderson and Mary Henderson, all of Wilmington, Illinois; great grandchildren: Chayse Donovan, Cole Donovan, Samantha Merkel, Madilyn Kapchinske, Henry Merkel V, McKynlee Kapchinske, Josiah Merkel, Charlotte Merkel, Caleb Merkel, and Baby Merkel due in February; step-son David (Lisa) McMurtry of Scottsdale; step-daughter Barbara (Jim) Stellwagen of Mokena; step-grandchildren: Jacob (Melissa) Stellwagen of Chicago, Brent (Kristin) McMurtry and Morgan McMurtry, both of Scottsdale, Katie Stellwagen of Flagstaff, Arizona, and Gretchen Stellwagen, Kola Stellwagen and Eli Stellwagen, all of Mokena, as well as numerous nieces and nephews. Barbara was preceded in death by her parents, Samuel and Eva Bray; husband, Henry A. Merkel; brother, Richard L. Bray and nephew, Rick Bray. The family will receive friends for a visitation at the First United Methodist Church, 401 E. Kahler Road in Wilmington on Friday, January 11, 2019 between the hours of 4:00 p.m. and 8:00 p.m. and again on Saturday morning, January 12, 2019 from 9:00 a.m. until the time of funeral service 10:00 a.m. Pastor Harriette Cross will officiate and burial will follow in Elmhurst Cemetery in Joliet, where Barbara will be laid to rest with her late husband Henry. Preferred memorials may be made as gifts in Barbara’s memory to Kuzma Care Cottage, 635 S. Main St., Wilmington, IL 60481; The First United Methodist Church Memorial Fund, 401 E. Kahler Rd., Wilmington, IL 60481 or to the Wilmington School District Foundation for Excellence, 209 Wildcat Ct., Wilmington, IL 60481.